In the past few weeks I’ve had conversations with at least four companies whose relationship with their 3PL distribution centers is near the point of failure. I don’t know if this is indicative of a general trend or not, but it can certainly be said that the last few years made for some strange logistics bedfellows. Pacts sealed in the urgency of difficult times sometimes unravel when conditions improve. (Note: this article primarily focuses on distribution aspects of the 3PL relationship, rather than transportation). In at least two of the examples I can think of, the client companies stated that they felt that they had been the victims of their own good negotiating skills. In the depths of the 2008/2009 recession, many 3PLs, desperate to book any revenue, signed clients to deals that would ultimately never be profitable for the 3PL. As times have improved, there is pressure to drop these less profitable clients in favor of new business at better margins. Many 3PL contracts allow either party to terminate the agreement within 30 or 60 days, with little protection for the client. 1. Build flexibility in up-front: When initially negotiating the contract, client companies should be honest about the range of potential forecasts which could play out. Rather than painting a rosy picture of aggressive growth, both client and 3PL should discuss how the contract might need to be altered if growth projections do not materialize. 2. Plan for growth in multiple channels: Across the entire consumer goods supply chain, trends such as e-commerce are changing the ways in which warehouses must work. Just because a company’s business consists of case and pallet-picking today, doesn’t mean it will always be so. Anticipate the growth of trends like piece-picking, packing, and value-added services, and talk about them up-front so that neither party is surprised by distribution patterns that didn’t meet expectations. 3. Look for industry expertise: 3PLs often specialize in particular industries or types of distribution such as retail, medical devices, food, pharmaceuticals, etc. Some companies are averse to using 3PLs that handle too much of their competitors’ business as well, fearing the loss of trade secrets. In reality though, no consumer goods manufacturer would be well-served if they are the only client of the 3PL for which retail-compliant labels and EDI protocols must be maintained. Companies should try to partner with 3PLs who handle similar clients and similar challenges, so that the cost of keeping pace with industry changes are not borne solely by one client. Additionally, this experience will also allow a 3PL to negotiate a more realistic contract at the outset, with fewer surprises down the road. 4. Communicate proactively: If either party feels that the agreement is no longer working for them. If both parties truly believe in the spirit of win/win, then they will be willing to make sensible concessions that will lead to a more profitable – and stable – relationship for all involved. 5. Don’t throw the baby out with the bath water: I have seen companies – smarting from a bad 3PL experience – rashly decide to simply bring distribution back in-house and abandon outsourcing altogether. This is an extreme reaction that is often not justifiable. There are many competent 3PLs which are capable of serving the needs of nearly any distribution enterprise. Sometimes all that is needed is finding a better fit, in areas such as geography, company size, industrial focus, and corporate culture. 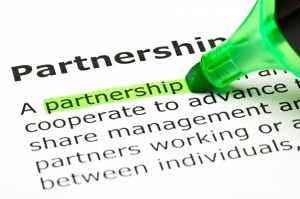 Conducting a thorough evaluation of other partners may yield a better and more lasting outsourcing marriage. If you have a suggestion of your own for our readers, please share it in a comment below!